The purpose of this guide is to help people understand the basics of battle mechanics. This may sound surprising in a way but there are quite a few established players that only know what waves work but not the why. 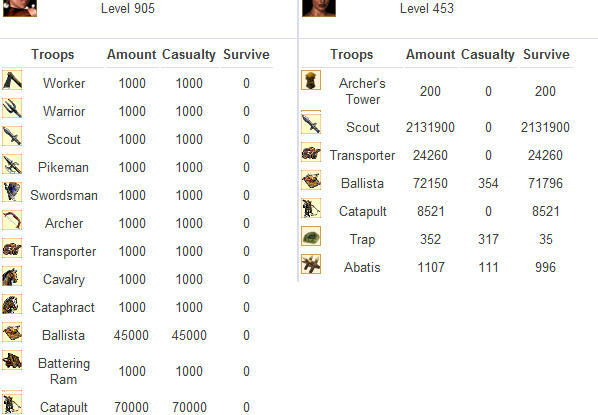 If you come here as a new Evony player this will help you understand how to conserve your troops in fights and become a strong player overall. The concept is generally simple but without visuals it could be confusing. I’ve tried to give a visual of the information and believe it will help even the newest people learn. The most important thing you need to know is there are two sizes of battlefields. The length of the battlefield is determined by the “base” distance of your fortifications. To state this now we are always assuming level 10 walls as they give a 200 range bonus.C omparing these fields to real life you are either fighting on a tennis court which is small and compact or on a soccer field which would be a considerably large range. The two battlefields you face are referred to compact or range/5k. Here is a side by side comparison. As you can see range defense is much much bigger. When attacking or defending in Evony you must be able to recognize what defense you’re fighting and adjust your game play towards this. This is the difference between good players and great players. This is simple to see once you understand it. Look at the fortifications that a you or a player has. If you compare the compact chart to the range chart you will notice there is key differences. The compact chart only has archer towers whereas the range chart also has traps, abatis and trebs. If the base has ANY traps, abatis or trebs it is range. The word any means any combination of them, even it is 1! Compact – Any combination of archer towers and logs only. Though logs were not included in the charts, despite my best efforts I could find a situation where logs actually helped you. Bottom line compact defense is pure towers or no fortifications at all. Range – This can be any combination of fortifications but must include at least ONE trap, abatis or treb. As stated before, if there are any traps, abatis or trebs then it is range! Now to keep this as simple as possible we are sticking to the basic need to know information and that is what attacks what and when. A point to clarify is that attack value is the amount of a specific troop *times* their attack. Ranged units must first engage opposing ranged units with the highest combined attack value when they are within range of each other. Ranged attackers must engage archer towers before units. Ranged units engage melee troops from fastest to slowest. Melee units engage the opposing units within range that have the highest combined attack value. Scouts do not advance until all units from their side have been killed. The quick short and sweet answer of why people go compact defense is so they can protect their melee troops against ranged attacks and to use archer towers as a shield. When archer towers are gone troops are within distance of each other to exchange fire. This defense has several advantages and is typically the defense of choice in war cities as it protects melee layers. Remember that if the defender has archer towers, they are used as a shield until they are dead. Here are some examples. Towers Present – Towers are lost but no ranged troops are injured due to towers absorbing mechs. Minimal melee troops were lost to the defender due to the layering of the attackers wave. 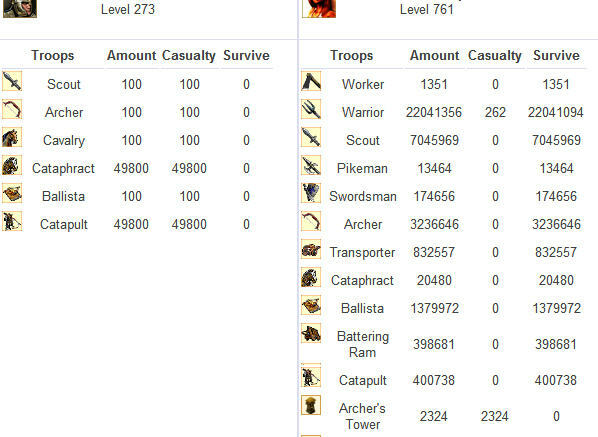 No towers present – Massive losses incurred to ballistas because lack of towers. Defender did have an intel hero present, however ballista had a much higher attack value therefore they were hit. Now if you review all the general rules of engagement there is a massive pitfall to this defense if you get caught with it. This defense is ment to defend melee troops from ranged, however you will notice that ranged units cannot engage melee troops until all units are dead. This can be a major problem if you as the defender have NO melee troops left. Viof Jack Attack – Defender is caught with ZERO melee troops to stop phrax advance, the attacker exploits battle mechanics and adds one of each ranged troop and the fastest troops leading to phrax. This defense is generally good at protecting your ranged troops however it is terrible at protecting your melee troops. 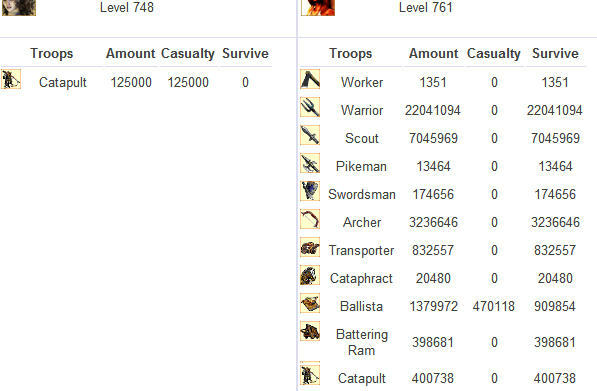 As a defender storing massive sums of melee troops is a bad idea and it happens way too often. Keep in mind that opposing ranged units are NOT within range of each other. What ends up happening is your melee troops go charging into enemy fire. As an attacker/defender you should send minimal melee layers with attacks/defense to slow the enemy advance. Important to note that mechs out range archers so you can take massive damage against mech waves. 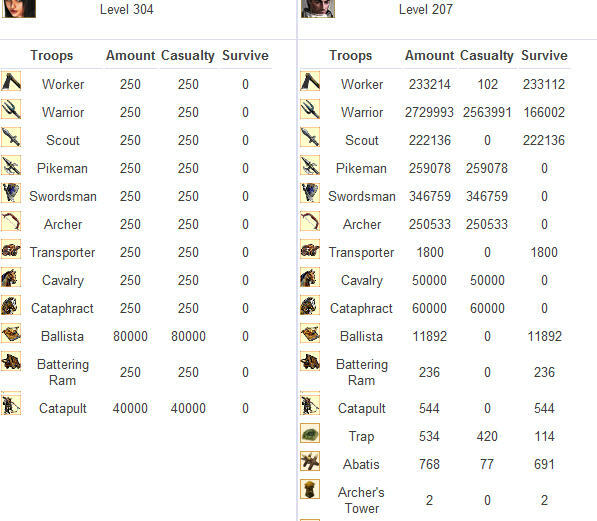 – Defender has large amount of melee troops and is in range. The defenders melee troops march forward into range of the attackers parked mech to be killed. – Range is the prime setting for using the mech defense. Since the defender has no melee on the battle field there is nothing for the attacker to kill. As the attacker marches, they are outranged by the defenders mechs. The small amount of defending troops were killed by the attackers scouts. Knowing what are the strong and weak spots of each defense will be vital in setting up your defense and exploiting others defenses. It is wise to have bases with different setups to protect different troops. I hope this information is clear and helpful to you. Good luck with your attacks and choosing your defense!